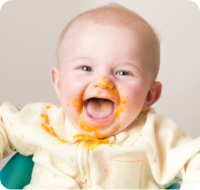 We run some fun and informative introduction to solids sessions with the NCT in various venues in Harborne, Selly Oak, Sutton Coldfield and Solihull on a regular basis (or in the comfort of your own home if you prefer !). This workshop will leave you feeling confident and prepared for weaning. Looking forward meeting you all ! If you have any specific query, feel free to drop us an email !